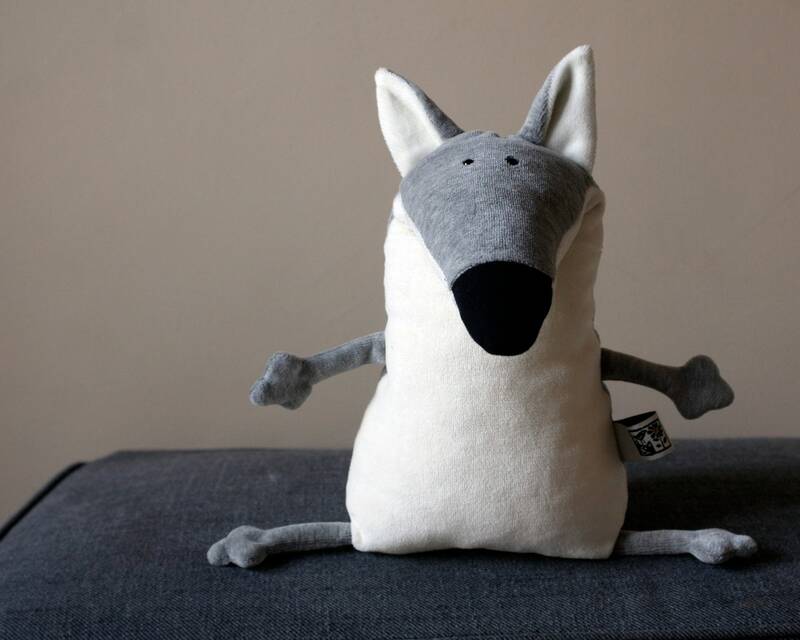 My little plush Ponca Wolfie is made of Grey plush. His belly and inner ears are made of white plush. Limbs are grey as well. 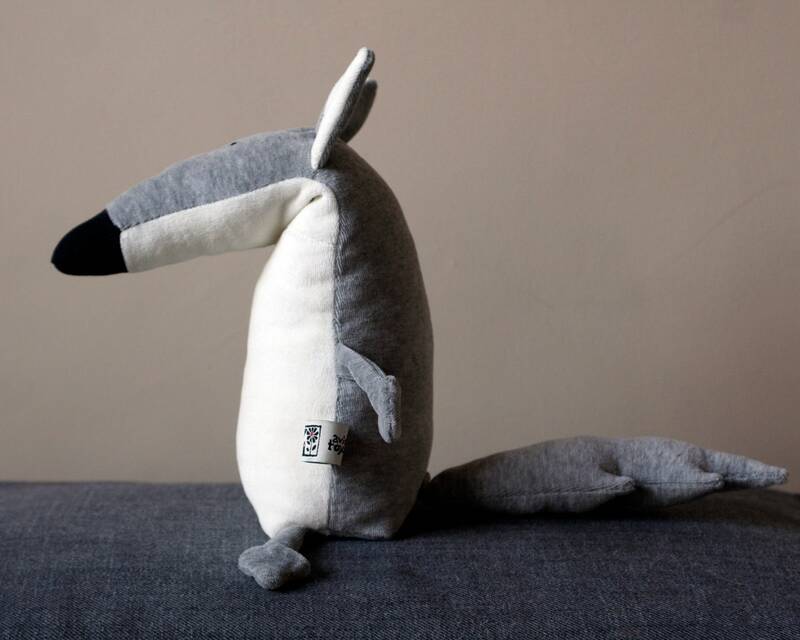 Ponca is a new series of my plush toys. 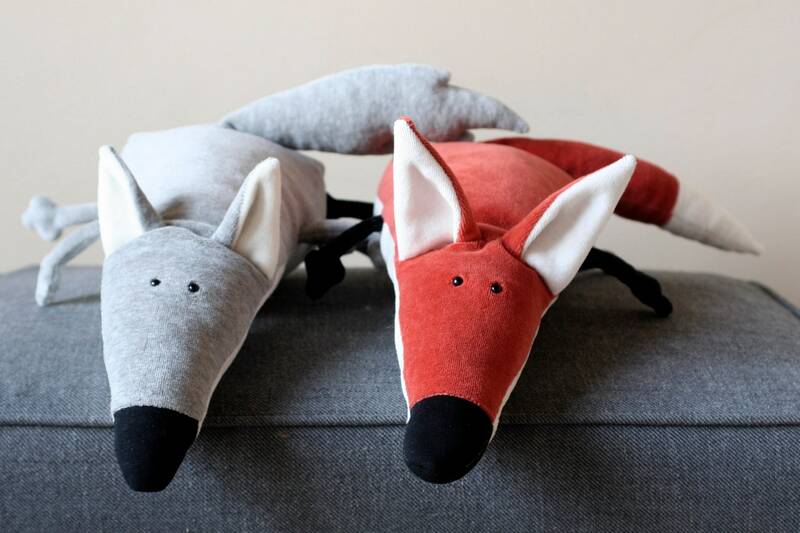 They are all soft, cuddly and cute for all ages. 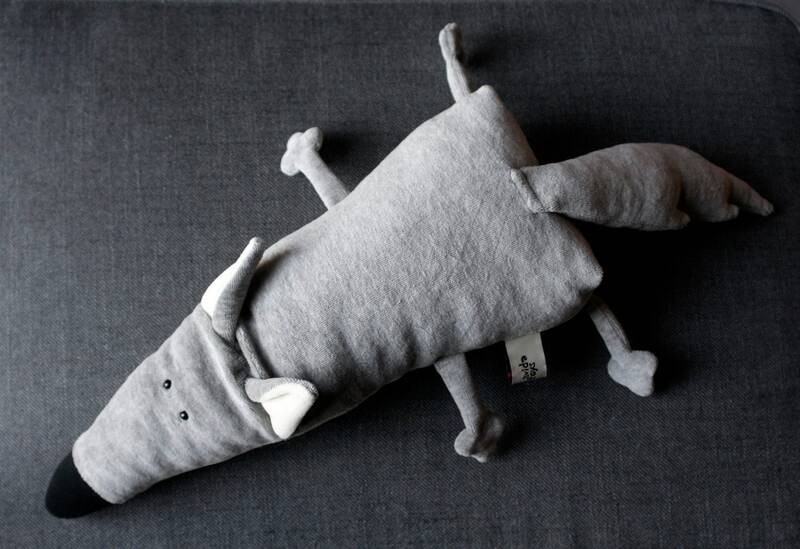 Each Ponca toy has a triangle body shape. Their body is about 8" (20 cm) and 6" (15 cm) wide. They have big head and they can sit or lay. 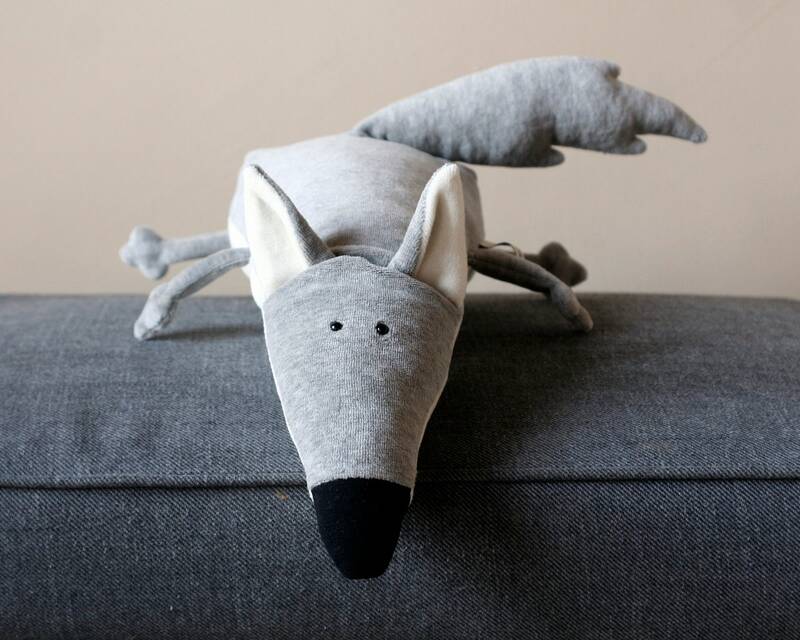 All Ponca toys are made of Oeko Tex 100 Standard certified plush fabric. Stuffing is a high quality polyfill which is soft, hygienic, and keeps its volume and shape for a long time. 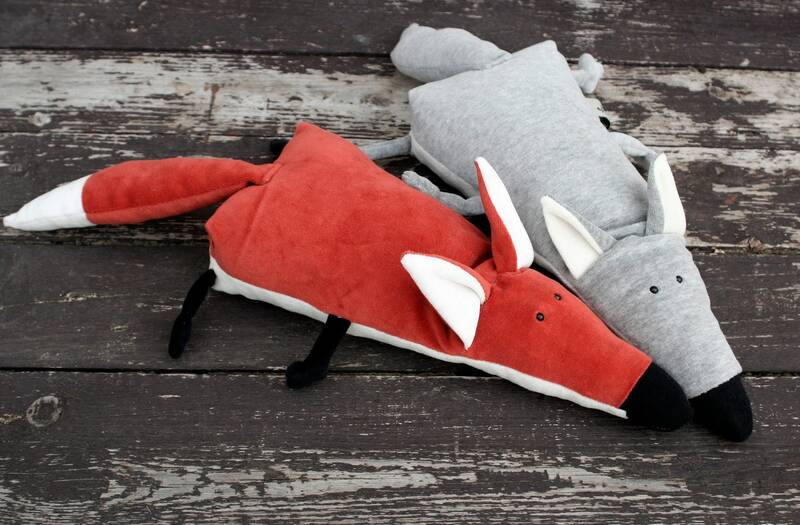 Ponca toys are machine washable on low temperature using mild detergent. Can be tumble dried. Other Ponca toys are also available in my shop. The name Ponca was a nickname of my son when he was a little boy. His sister used to call him this name by the time she started to talk.